http://www.fabreminerals.com - This image is copyrighted. Unauthorized reproduction prohibited. 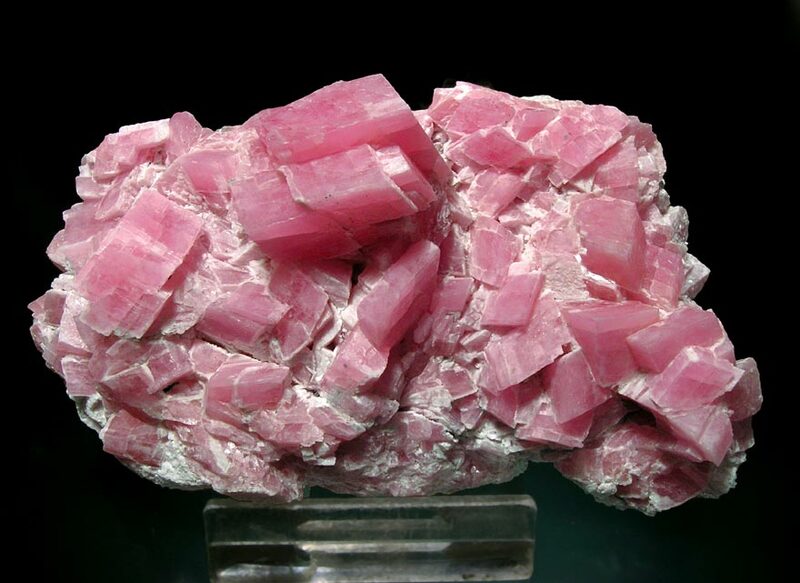 From a recent find in Manuelita mine, this Rhodochrosite group has crystals of a considerable size, very sharp and with excellent color: reddish under incandescent light and pinkish under solar or florescent light. The quality of the samples from this cavity are highly superior to what has been common for the mine.